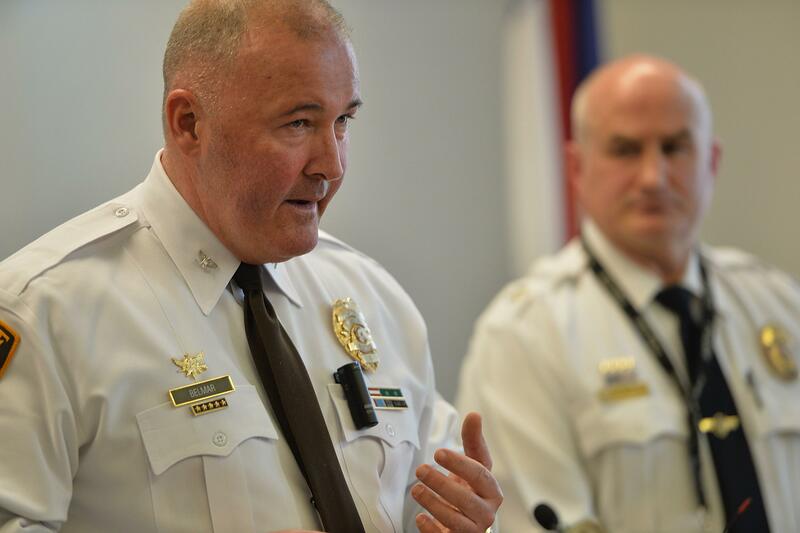 St. Louis county municipal police reform: Chief Jon Belmar gets behind effort. St. Louis County Police Chief Jon Belmar in March. During the chaos that followed Michael Brown’s August 2014 death in Ferguson, Missouri, St. Louis County police officers engaged in a number of controversial tactics—confronting groups of nonviolent protesters with military equipment, failing to wear identifying name tags in violation of commonly accepted police standards, harrassing journalists, and more. (St. Louis County’s law enforcement groups include municipal forces like the Ferguson Police Department as well as the wider county force.) State Gov. Jay Nixon’s Aug. 14 decision to bring in Missouri Highway Patrol officers to help manage protests was credited by some with de-escalating tensions that had been created in part by the aggression of the St. Louis County police, who were led by Chief Jon Belmar. Belmar acknowledged that the protests in Ferguson have given a voice to populations that had been overlooked in the past. Huffington Post reporter Ryan Reilly, who wrote the story quoted above, was actually one of the journalists infamously arrested in Ferguson in August (by a group of officers that reportedly included St. Louis County personnel) for the dubious offense of working at a McDonald’s near the area of protests. The world turns.